If you’re in need of an emergency roof repair, contact Thomas Quality Construction. Our team at Thomas Quality Construction is ready to help you with any type of roof repair that you might need. Are you worried about roof leaks or storm damage to your roof? Thomas Quality Construction is a full-service company with all the answers you need to common roofing problems. We have years of experience offering our proven roof repair and replacement services to home and business owners alike. When it comes to an emergency roof repair, Thomas Quality Construction is known for our superior work at competitive prices that has brought us many satisfied customers and referrals. Our customers can also vouch for our honest and knowledgeable personnel, reliable and responsible working crews and impeccable workmanship. Our professionalism and attention to detail will ensure a long-lasting roof. Thomas Quality Construction understands Kentucky weather. High winds, storms, heavy rain and high humidity can wreak havoc on your roof. High winds lift, curl and tear off shingles and can cause branches to fall on your roof. Missing shingles can leave your roof underlayment exposed to the elements making leaks a sure thing. Hail causes dents in the protection granules of asphalt shingles, which can also expose the underlayment. Heavy rains mixed with high humidity can lead to algae and moss growing on your roof or mold under your shingles, which may or may not be seen. When storms come, Thomas Quality Construction understands the devastation they can cause and the sense of urgency with getting your roof repair done. Our skilled craftsmen at Thomas Quality Construction will get your roofing project done quickly and efficiently. No one can predict when a storm will damage your roof. We will thoroughly inspect your home for storm damage seen and unseen. When storms hit, the last thing you want to do is navigate the insurance process alone. Dealing with insurance claims and adjusters can be a tedious and frustrating process. Our experts at Thomas Quality Construction are up-to-date on all the current insurance ins and outs and work closely with insurance adjusters during the entire process. We will walk you through every step of the insurance claim process. When you select Thomas Quality Construction for your emergency roof repair, know we will get your home back to the way it was and better as quickly as possible. Roof repair is not something a handyman can accomplish, especially if it’s an emergency roof repair. 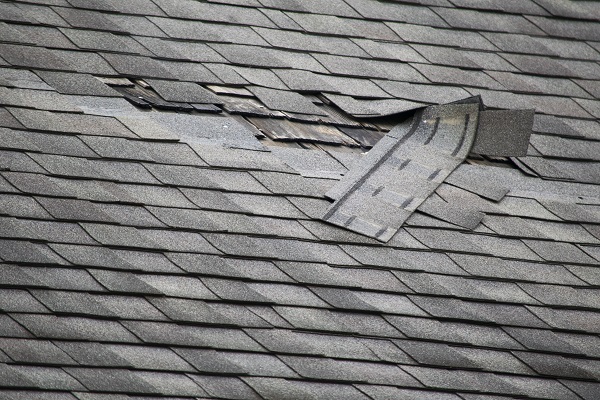 By putting off roof repair, you could end up causing extensive damage to your property on a whole. When there’s an issue with your roof, you can depend on Thomas Quality Construction. We provide 24/7 emergency roof repair answering service for your convenience. When you call us, we’ll arrive on the scene quickly to assess the state of your roof and to offer solutions for getting it fixed. We have state-of-the-art equipment and plenty of roofing contractors on our crew to quickly do emergency roof repairs. We provide prompt and efficient roofing service which will protect your property from any further damage. Thomas Quality Construction will do your emergency roof repair correctly and we make it our business to keep our pricing reasonable and affordable.